For a description of the WWII Decoy site known as a 'Starfish', click here. The Hall was occupied firstly by the RAF and then by the American forces during the Second World War. Its grounds were also home to a top-secret decoy site known as a 'Starfish'. Thomas J Carter wrote to the Parish Council in 1999 to provide details of life at Arborfield Hall in the Second World War. The Headquarters Unit of the 2nd Advanced Air Depot Area (2nd. A.A.D.A.) of the U.S. 9th Air Force was stationed at the Hall. It had been formed in autumn 1943 at Bushey Park in north London, and moved to Arborfield on December 15th that year. 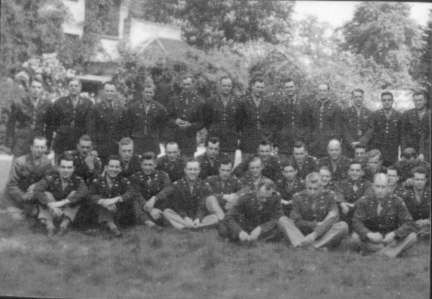 There were about 50 officers and 200 enlisted men. 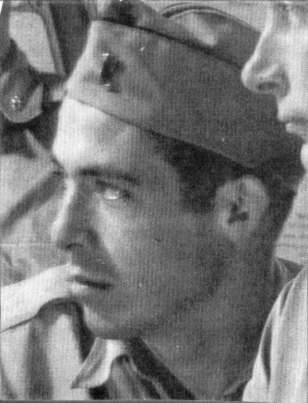 They departed from the Hall on June 15th 1944, going into Normandy over Omaha Beach. 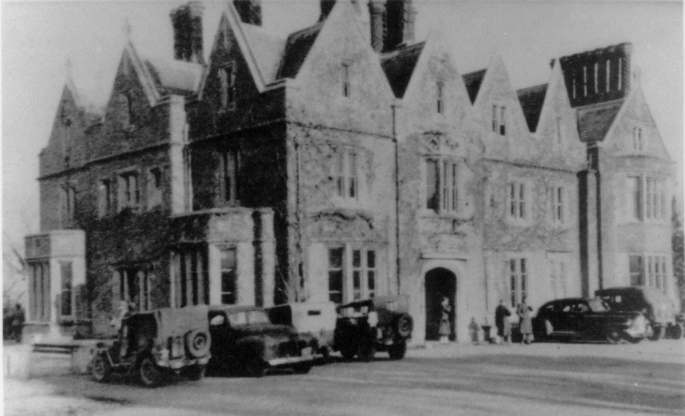 He recollected that Arborfield Hall was a beautiful old building which served as the HQ and offices. There were a number of other buildings on the grounds, the most memorable apart from the Hall being the Grange. It was located about an 1/8th of a mile from the Hall and was where the Officers ate their meals. He recalled that the Grange was a large home with a small lake beside it, surrounded by many trees and bushes. There were no barracks on the grounds, so they were all billeted with English families near by. Thomas could not remember the name of the lovely English couple he stayed with, but they were wonderful to him. A hot cup of English Tea would be on the dresser each morning. At the time, he was in his early 20’s and thought of them as elderly, but they were probably only in their mid 40’s. He laughed about this impression for years, because by 1999 he himself was approaching 81. He did remember that the couple lived across the street from a Friends Boys School. Being a Birth Right Quaker, he had gone over to visit them. Thomas wrote again after receiving copies of photographs of Arborfield Hall. "It seems to me, that I remember that the lower floor of Arborfield Hall contained what looked to be prison cells. As your information indicates, perhaps these were not prison cells at all, but were used for the storage of wine, beer and whiskey. May I assure you, that when we arrived at Arborfield Hall, those cells were empty". 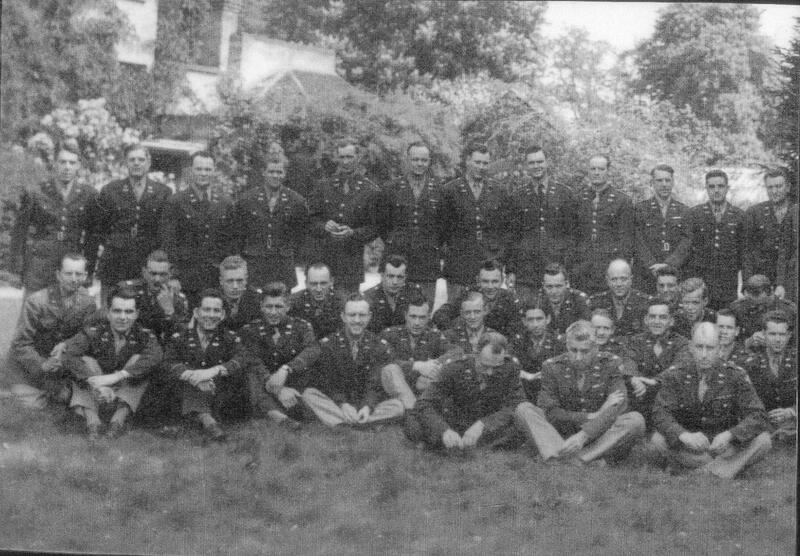 American Officers at Arborfield Grange, which was their Officers' Mess.